Make sure your bike can cope with colder condition with these 10 steps. Cold conditions affect how tyres work and dedicated sports rubber isn’t suited to winter. Temperatures below 10 degrees are the domain of silica-based sports-touring tyres. If you have suitable tyres already, check their condition, especially the tread depths. And bear in mind that even if they are legal, they may still need changing. 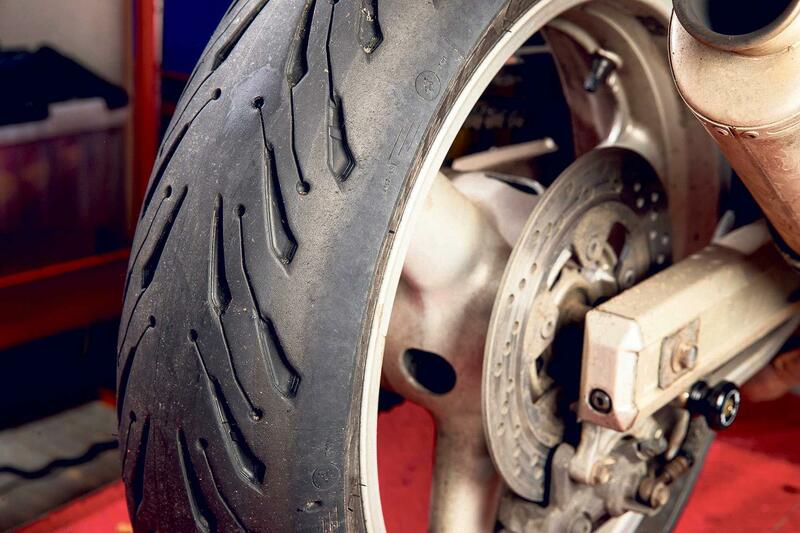 British weather fluctuates wildly, so check your tyre pressures at least once a week. Air expands by roughly 2psi for every 10°C increase in ambient temperature and contracts by the same value when temperatures fall. So if you last set your pressures in July’s 30°C heat you will find that they’ve dropped by 5.4psi on a frosty 3°C November morning. Low temperatures cause oil to thicken and an engine’s internal components to drag, so your battery has to work harder in order to crank over the motor from cold. 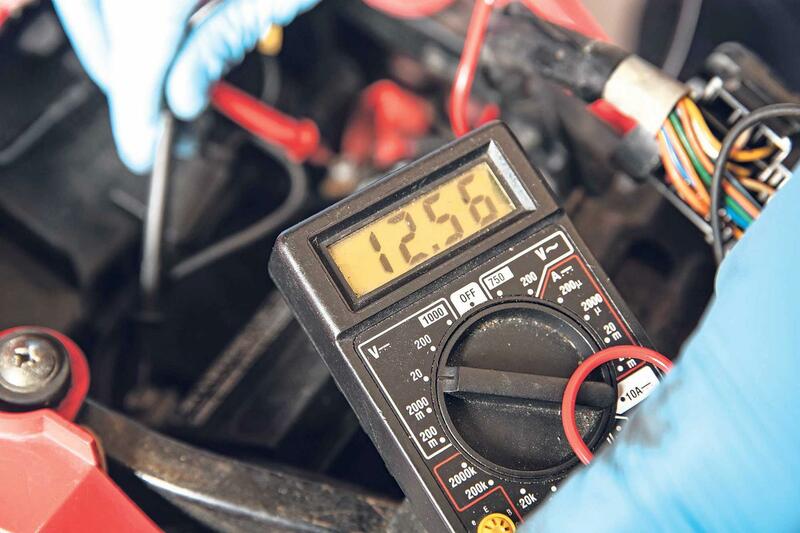 With the engine off, check the battery’s resting voltage: a battery in good condition should indicate a reading of at least 12.6v. Lightly grease the battery’s terminals and check all the connections are tight. Never be tempted to top up your radiator with water rather than proper coolant that has anti-freeze properties. And check how long the coolant has been in the system because its freeze-beating properties degrade over time and if your coolant freezes it will wreck your engine. Owners of air-cooled bikes needn’t worry about this step, of course. 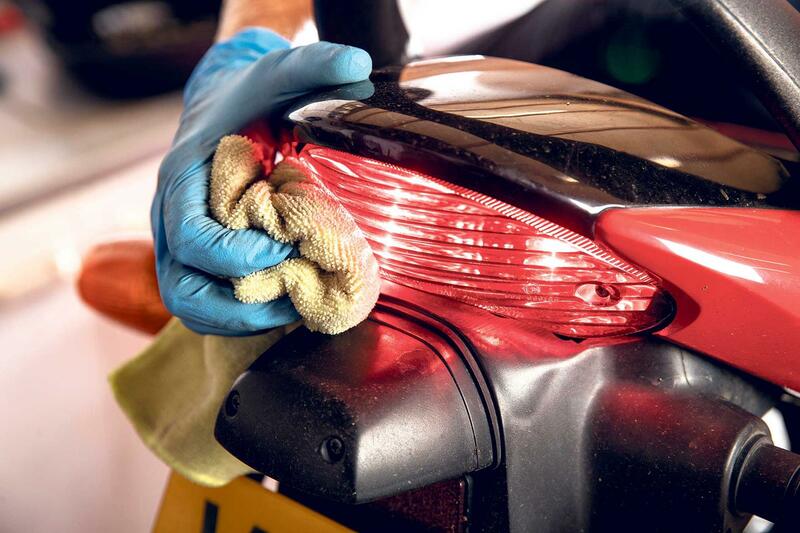 Make sure your lights are working and not covered in crud. Adjust headlights for both dip and main beam for optimal performance. If you’re thinking of adding lighting accessories such as front fog lights or LED indicators make sure you choose quality items. 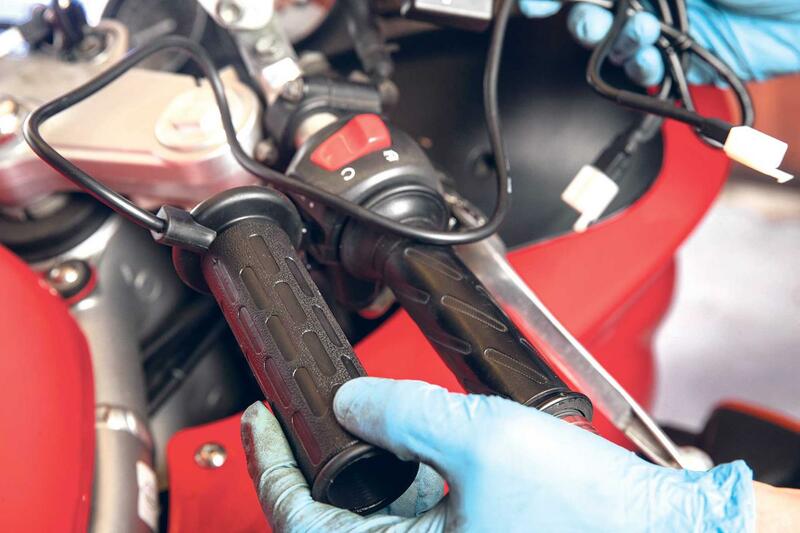 Heated grips will take the pain out of winter rides. The grips have heating elements imbedded in them, often with multi-levels of heat control, and are powered via the bike’s 12 volt electrical system. 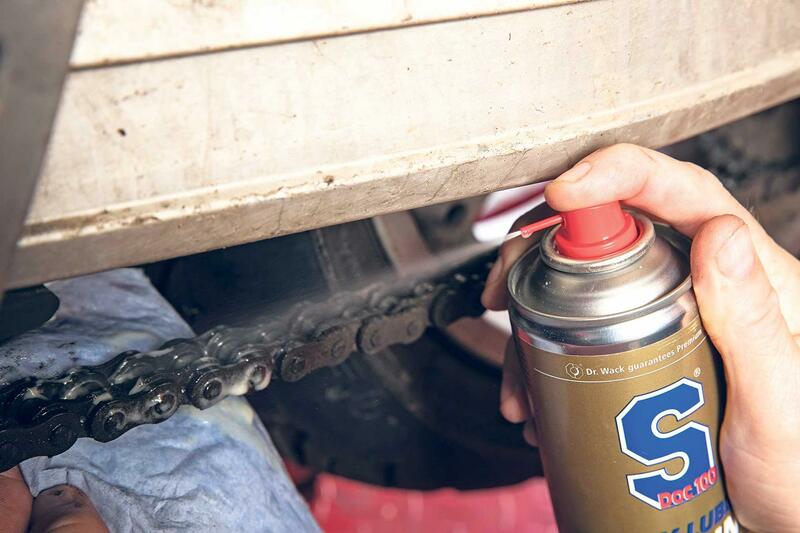 Winter salt will destroy your chain in double-quick time so stay on top of cleaning and lubing. Alternatively you can fit an autolube system such as a Scottoiler. 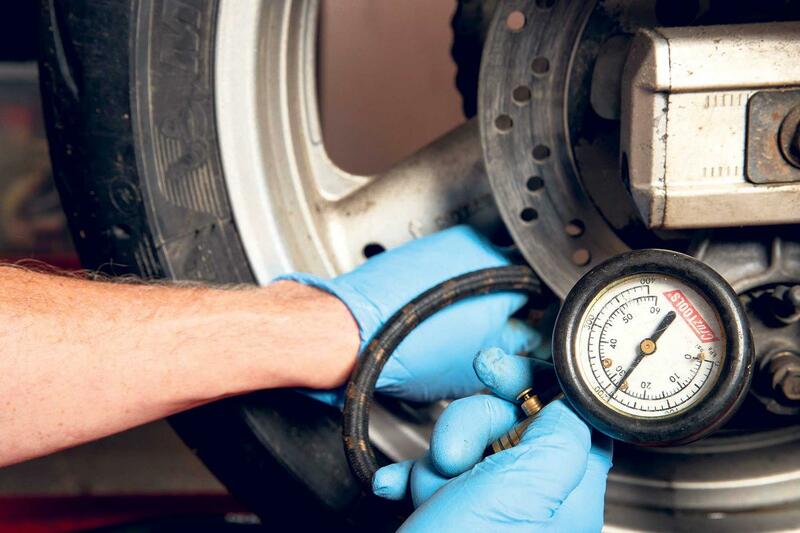 These devices automatically meter a precise amount of oil to the chain, and they work so well that they can substantially extend the life of your chain and sprockets. Cold and wet conditions mean visors are prone to misting. 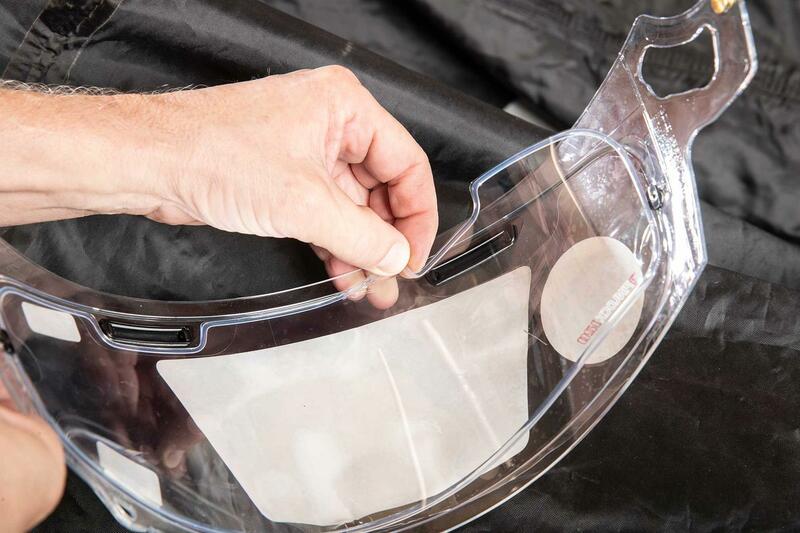 The best solution is to fit an anti-fog insert into your visor. A Pinlock insert costs around £25 and will be a revelation if you’ve never used one before. Alternatively, there are liquid treatments for the inside of your visor but these will need regular re-applications for decent performance. When your hands are cold and the conditions challenging, you need your bike’s controls to be as smooth as possible. 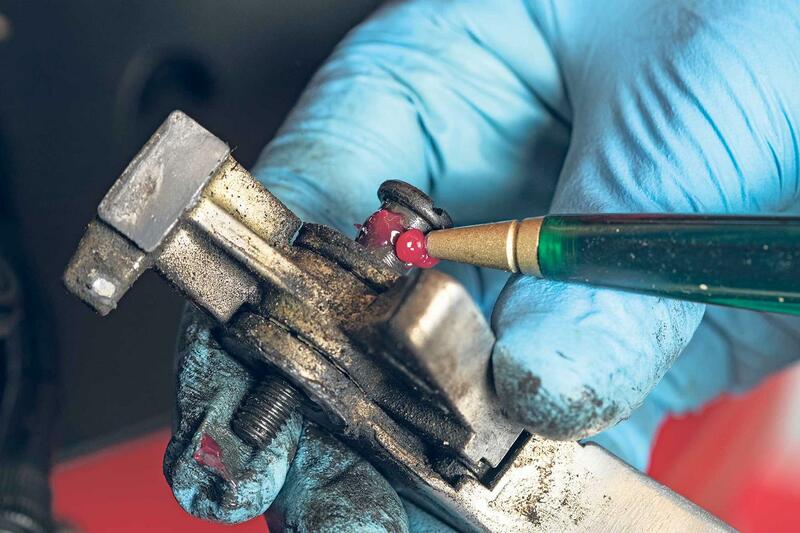 Remove the front brake lever and give the pivot bolt a thorough clean using wet and dry or a wire brush to remove any corrosion. Then re-install it with a thin smear of grease. The same can be done for the clutch lever, and rear brake levers. 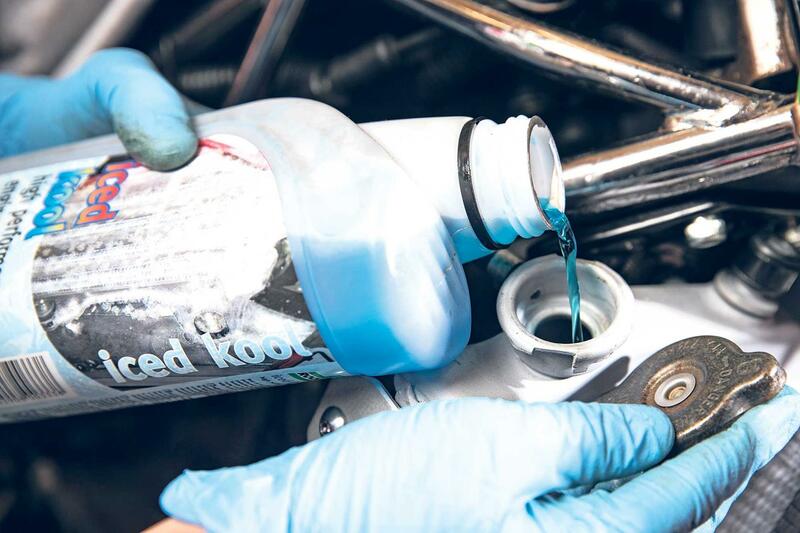 Using anti-corrosion products like ACF50 or XCP Rust Blocker will protect your bike from salt-accelerated corrosion. These products coat the vulnerable parts with a fine film which acts as a barrier to prevent oxidisation taking place. 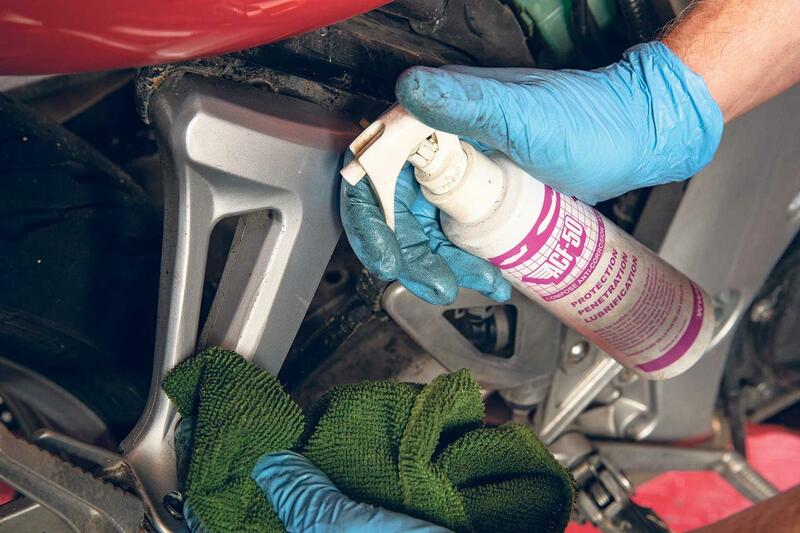 You should use anti-corrosion products alongside an established cleaning routine for optimum performance.